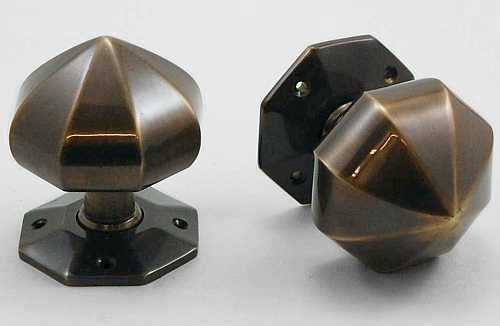 Description: Impressive octagonal knobs often used on external or other large doors. Suitable for use with mortice locks only. 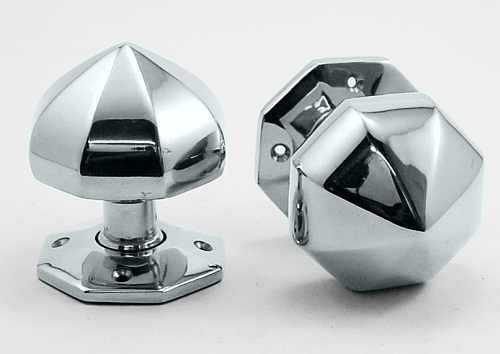 Available either as single knob or pair. 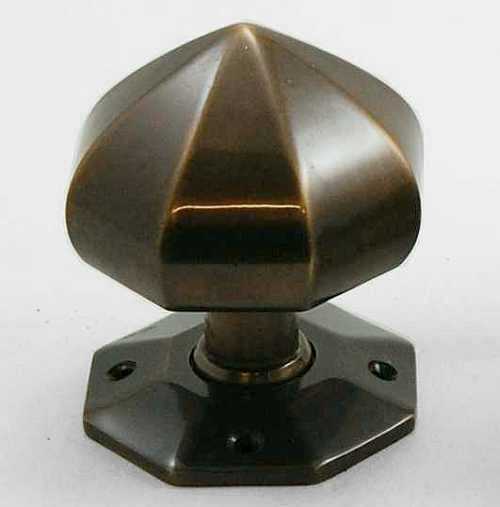 Base metal: Cast solid bronze and brass (brass, chrome, applied bronze finishes). 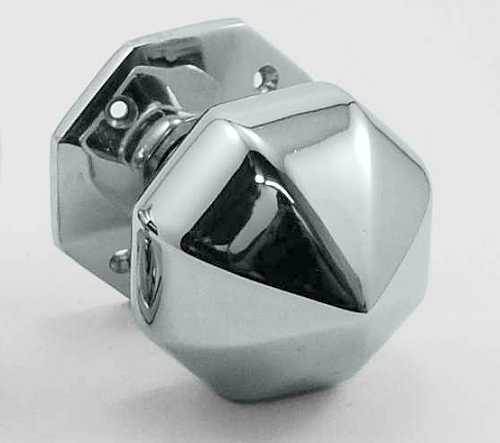 Single knob supplied with fixing screws. 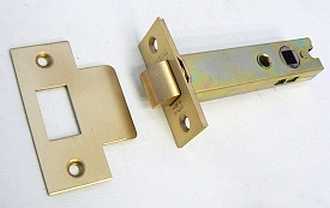 Pair supplied with 150mm spindle and fixing screws. Small: 55mm knob, 59mm rose, 76mm projection. Standard: 67mm knob & rose, 82mm projection. Large: 76mm knob & rose, 87mm projection.